Ok, everyone should know How To Make Blender Hollandaise Sauce! This is a weekend warrior skill, you and your kitchen, Eggs Benny, and this! This method of making hollandaise is so easy you will never make another Hollandaise again, trust me. It’s so good that I rarely eat any in restaurants anymore, because it’s always a disappointment compared to what I make at home. My Easy Eggs Benedict make me happy. It doesn’t compare to restaurant ones at all, and it seriously is because the Hollandaise is good enough to drink. Not that I’ve ever tried it….but I’ve been tempted! Take your egg yolks and put them into your blender. Add in the salt, lemon juice and hot sauce. Turn on the blender and blend until smooth. Melt the butter in the microwave until steaming hot. Turn on the blender and while the blender is mixing the eggs, very slowly pour the very hot butter into the eggs, until it’s all incorporated. You will now have hot, delicious Hollandaise ready to go! Make sure that you have your butter VERY hot so that it cooks the eggs in the blender! I have tested with my thermometer and YES you can get the mixture hot enough to be safe! You can even warm up the egg yolks in the microwave ( not cooking them though!) to get the chill off and then the butter will definitely heat them up to be cooked. If you are worried about it, make the hollandaise on the stove top instead. Blender Hollandaise ( like ALL hollandaise) is best if its used right away, nice and warm from the blender…. and used on delectable little creations like my Steak Oscar! 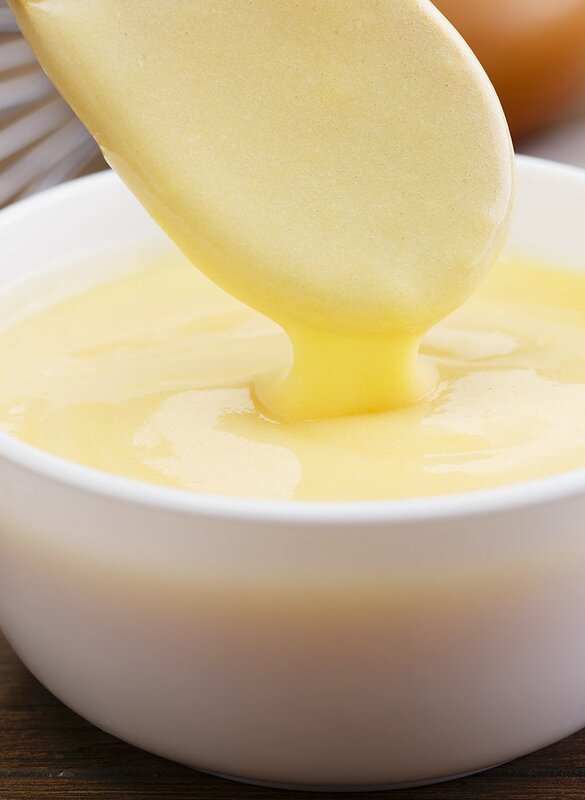 How To Make Blender Hollandaise Sauce - Amazing, buttery, real Hollandaise sauce you can make at home that's perfect every time! Turn on the blender and while the blender is mixing the eggs, very slowly pour the very hot butter into the eggs, until it's all incorporated. Melt the butter and get it as hot as you can get it so that it helps to cook the eggs in the blender. Having all of the ingredients ( excepting the butter) at room temp will ensure that you get the hottest sauce possible. Using cold eggs will make the sauce too cold. Question: you seem to make poached eggs a lot – do you have a favorite way to cook them? Good idea, very easy too! It is the only way *period* to make Hollandaise! I always do it this way! It’s way too easy LOL, you can make it at any time! oh boy ,smoked salmon eggs benny……next grocery trip for the ingredients…. 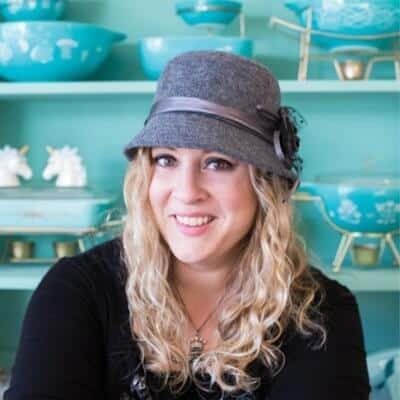 Clare Bowers. We shld try it this way. Can I use margarine instead of butter to lower the cost to make the sauce? Or is their another subsituite for butter? Actually, the problem here is that the butter needs to be clarified before using it, the milk products in the butter cause the sauce to be unstable and seperate and/or curdle easily. 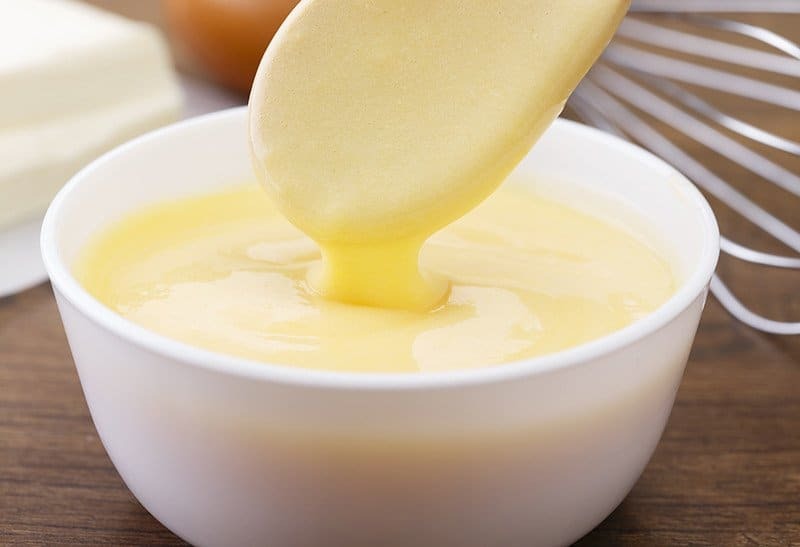 To clarify butter, put the unsalted butter on low simmer in a pot and skim the top of the butter every few minutes to clear the milk products that become seperated and float to the top. Ironically I just screwed it up by re-heating it this morning, with company here everything was made at different times, and I tried to nuke it a little and it completely curdled.I should KNOW better! But in the blender, the key might be to make sure the butter is very hot, and very slowly pour it in, then it cooks the egg yolk without making it into chunks of egg yolk. Perhaps the food processor doesn’t whip it enough? I do know the butter has to be added sloooooowly. Good luck with the next batch, I hope it works for you! 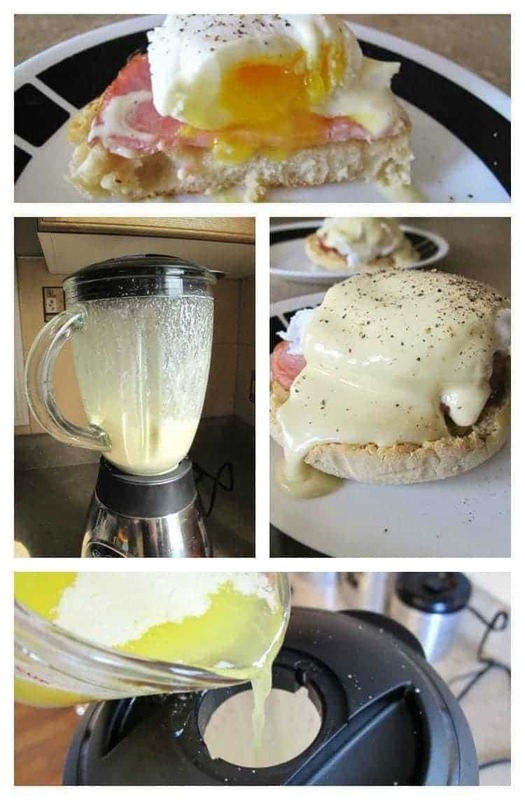 Wife and I tried out this hollandaise this morning. We don’t have a blender, so we used the food processor, instead. It seems like the sauce broke. Any suggestions? It was still tasty, but I didn’t get the creamy consistency that I think I was looking for. I’m going to try again, I’m just not sure where I screwed up.